Visit www.tututix.com/thestudionola to purchase tickets. The Studio School of Dance is once again thrilled to offer the New Orleans dance community with a variety of summer dance programs!! Whether you are a serious dancer looking to refine your technique or a young dancer looking for some Summer fun, we have a summer program for you! Scroll down and find your perfect Summer program fit!! Private Instruction– The summer months are a great opportunity to receive one on one training at The Studio School of Dance. This program is geared towards serious students wishing to advance at an accelerated pace. Dancers ages 9 and up are strongly encouraged to take advantage of this invaluable program. Mommy and Me Summer Classes – With Mommy (or Daddy) close by, students ages 1-3 years will learn the basics of dance, while engaging in hands-on movement activities essential to proper development in coordination, recognizing music and rhythms, counting and timing, and self-confidence. Students learn to stretch and dance through the use of exciting props such as dance scarves, hula hoops and ribbon sticks. 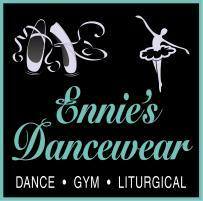 Moms love this opportunity to be a part of their child’s dance education. Fairy Tale Dance Camp Come join us for our annual Fairy Tale Dance Camp! Children ages 3-6 years will enter the world of a different fairytale with dance, music, story, games, and crafts. Each day will end with a small mini performance. Some of our themes include Frozen, Beauty and the Beast, Trolls, and Leap! Pre-Ballet Summer Workshop– Playing games and using props are a fun and energizing way for young children to learn basic Ballet movements. This introductory Ballet class will teach your tiny dancer Ballet vocabulary, provide structure, improve coordination, and challenge their memory skills. Small classes and one on one attention allow even the youngest dancers to feel comfortable in this classroom environment. These classes are geared towards kids ages 3-6 years wanting to learn about ballet. Beginner Ballet/Contemporary Summer Workshop– Introduce your dancer to the fundamentals of classical ballet technique. Each class focuses on proper posture, body positions, and alignment while also building on ballet vocabulary. The Studio offers class three times a week that will give your kids the opportunity to learn the basic ballet steps. This workshop is for ages 7-13 years old. Our classes are broken up into two classes based on the age of the student and enrollment. Intermediate Ballet/ Contemporary Summer Workshop– The structure of this traditional ballet class enhances students’ physical and mental discipline while re-affirming posture, placement, flexibility, and strength. Each class begins with barre and centre work, followed by exercises across the floor and reverence. Students learn performance skills and basic music fundamentals while cultivating self-confidence and presence. Master Class Summer Series We strive to provide students the perfect opportunity to learn from and share experiences with leading dance artists from around the globe. Master classes + workshops — ranging from technique, improvisation, creative process and somatics.This series of classes will take place throughout the entire Summer and is for advanced students ages 9-18 years. We are thrilled to once again host Leighann Kowalsky, Director for Dance at Millbrook School & Executive Director at the d’amby project at The Studio School of Dance !!! These classes are for students in the intermediate/ advanced level ages 10 and up as well as professional dancers. Join us and celebrate this holiday season with a very special occasion which we hope will become one of your family’s holiday traditions. 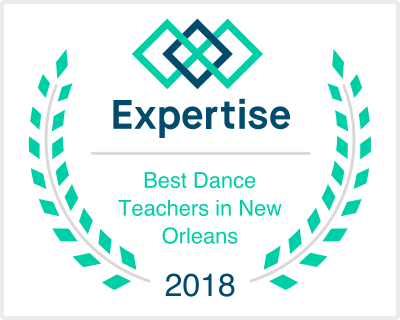 Our campaign is a special invitation for you to be an active part of the dance community in New Orleans as well as to get more directly involved with The Studio School of Dance and NOLA DANCE Project. You’ll also receive acknowledgment and, depending on your giving level, special rewards for your participation, online ‘thank you” listings, The Studio School of Dance collectibles, and opportunities to be a part of our process by attending performances and an exclusive meet and greet with the dancers and choreographer after a sneak peek of the work during an in-studio rehearsal. The Studio School of Dance is excited to announce the creation of their dance company, NOLA DANCE Project. In its inaugural season, the Mission of NOLA DANCE PROJECT is to inspire creativity, begin a conversation and educate the community in dance. We hope it offers the opportunity and a safe space for our performers and resident choreographers to develop their personal creative process. Only through the generosity of like-minded patrons can NEW ORLEANS DANCE Project premier thrilling works. Make a donation, become a member below at the level that is right for you. NOLA DANCE Project is a Fractured Atlas sponsored project. Fractured Atlas is a 501(c)(3) public charity. Contributions for the purposes of NOLA DANCE PROJECT are tax-deductible to the extent permitted by law. The Studio School of Dance strives to provide its dancers with a dance education that not only encompasses Classical Ballet but also other styles of dance. This year we are happy to add Modern Dance to our curriculum. We are thrilled to welcome Rebecca Allen to our staff as our Modern Instructor. Check out the information below and register for classes!! Modern Dance is a dance form that developed in the early twentieth century, partly in reaction to the traditional, more highly technical forms of dance such as ballet. While strongly influenced by classical ballet, the movement of modern dance is more fluid and contains dynamic highlights and tricks of jazz dance, including isolations, kicks, and leaps; alternately, many movements are weighted and close to the earth. To Register please click “Register” link below to join The Studio School of Dance.We accept Master Card, Visa, Discover. REGISTRATION OPEN for 2017-2018 DANCE YEAR!!!! Come meet your teachers, get your schedule and purchase your Studio Gear!! Light Refreshments will be provided!! !